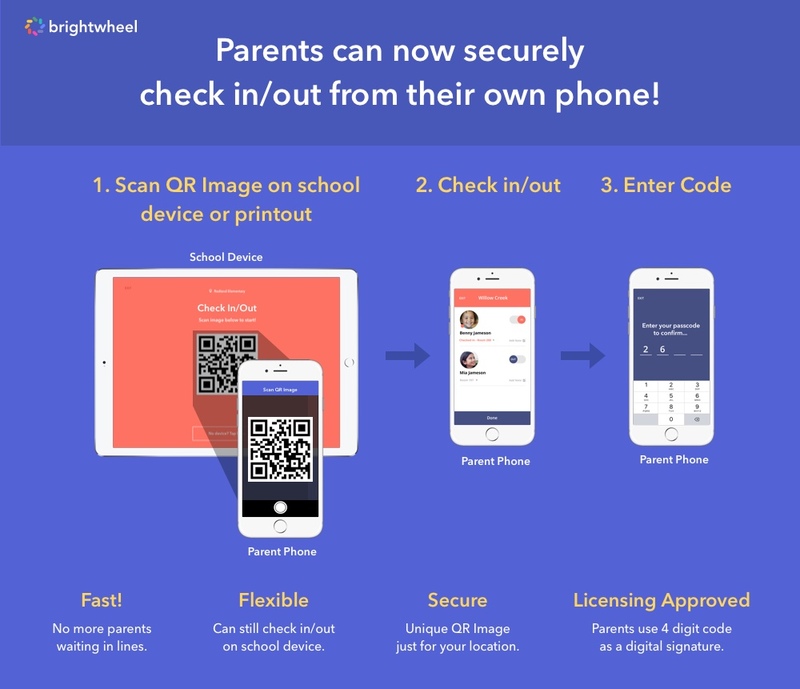 Parents can check in their children from their own phones! Why is this great? Fast: No more lines waiting to sign-in on paper or a tablet. And parents can check in/out multiple kids at one time. Flexible: Any parents who forgets their phone or doesn't have a smartphone can easily still use a school device. Secure: Much more secure than a physical signature. Parents must be on-site and will only match if they are an approved guardian. Approved: We developed Quick Scan with licensing in mind and require digital signatures from parents. Detail: If you wish, parents can submit notes and drop off info from their phone. How does it work? Each location is assigned with a unique QR Image. Parents will select Check In/Out from their app and quickly scan the image. They will then be prompted for their Check In Code to complete the in/out. Will check in codes still be used? Yes. Parents will be asked to input their personal 4 digit check-in code as the last step of checking in/out. Where is the image displayed? You can display your unique image on a laptop, tablet, or phone. Just look for the Quick Scan option at the bottom of the check-in section of the app. If you don't see it, ensure: a) You have the latest version of brightwheel, b) Quick Scan is enabled for your school. Can I print off the code? Yes! Here are further details on how to do this. Can I turn this feature on/off? Yes. Just go to Admin Tools (accessible only to administrators) and then Student & Staff Check-in, and then click the Settings icon. There you'll see an option to enable or disable Quick Scan. How does the image work? We generate a personalized image just for your location. 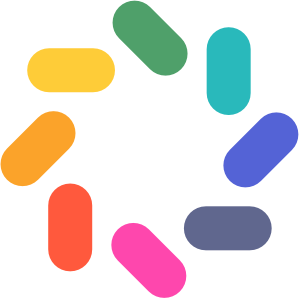 If you have multiple locations, you'll get one image per location. This is unique to you. In order for there to be a match, a verified parent/guardian from your school must scan the image from their device. What if I want to change my check-in image? In your Quick Scan settings, you have the option to have a new image automatically generated for you. If you enable this option, a new image will be created every 3 hours. Note: We do not recommend this option if you are going to be printing your QR Image. What if a parent forgets or doesn’t have a smartphone? No problem, parents will always be able to switch over to traditional check-in. See our General Check-in Overview for more info about all check-in options. Toggle Quick Scan "on" and Quick Scan refresh "off"
Click "Enter Check-in Mode" and the code will pop up for you to print.